In Paul Goldberger’s new book, Building Art, the noted New York architectural critic writes glowingly of Frank Gehry — he is clearly a friend of the iconic California architect, his achievements and his style. It took some time for many New Yorkers to embrace Gehry, but from the beginning, Goldberger saw the genius of the man who has given us iconic buildings around the world including the Guggenheim Museum in Bilbao and the Walt Disney Concert Hall in Los Angeles. Goldberger will be on hand at Global Connect on April 7 in New York City at the Mandarin Oriental to sign and talk about his new book and discuss the sweeping changes to the urban landscape following one of the most intense periods of residential and mixed-use urban development in history in hot markets like London, New York, Los Angeles, San Francisco, Asia and Dubai. 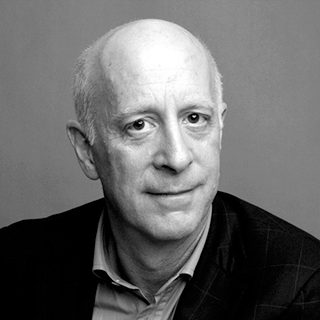 Register now for Global Connect to see Paul Goldberger speak on the latest global architectural trends. “Paul Goldberger, an excellent and humane storyteller, is deeply knowledgeable about both the inside nitty-gritty and grand purposes of architecture,” said Kurt Anderson. Goldberger, a contributing editor at Vanity Fair, spent 15 years as the architecture critic for The New Yorker and began his career at The New York Times, where he was awarded the Pulitzer Prize for distinguished criticism for his writing on architecture. He is the author of many books — most recently, Why Architecture Matters, Building Up and Tearing Down: Reflections on the Age of Architecture and Up From Zero. He teaches at The New School and lectures widely around the country on architecture, design, historic preservation and cities. He and his wife, Susan Solomon, live in New York City. He also holds the Joseph Urban Chair in Design and Architecture at The New School in New York City. He was formerly Dean of the Parsons school of design, a division of The New School. In his 2005 book Up From Zero, Goldberger tells the inside story of the quest to rebuild one of the most important symbolic sites in the world, the sixteen acres where the towers of the former World Trade Center stood. A story of power, politics, architecture, community, and culture, Up From Zero takes the reader inside the controversial struggle to create and build one of the most challenging urban-design projects in history. It’s a true New York City real estate story of epic proportions that has not seen its last chapter yet written. The purpose of Goldberger’s book Why Architecture Matters is to “come to grips with how things feel to us when we stand before them, with how architecture affects us emotionally as well as intellectually — with its impact on our lives. @paulgoldberger shows why architecture matters. You can find Goldberger on Facebook at facebook.com/pauljgoldberger, on Twitter at twitter.com/paulgoldberger and on Tumblr at paulgoldberger.tumblr.com.